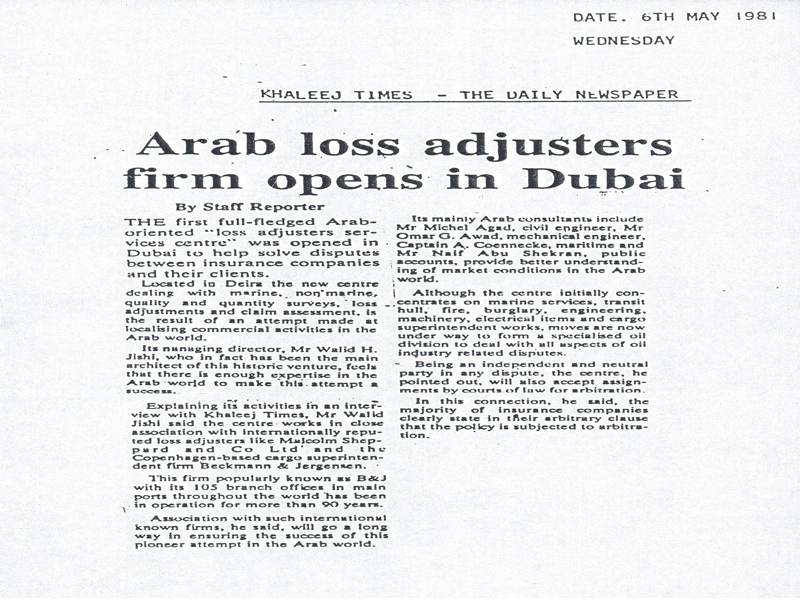 The Insurance Industry was at its infantry stage in 1981, Walid Jishi, our founder, group chairman and managing director established Arab Loss Adjusters to bridge the gap between local Insurers and International practices. 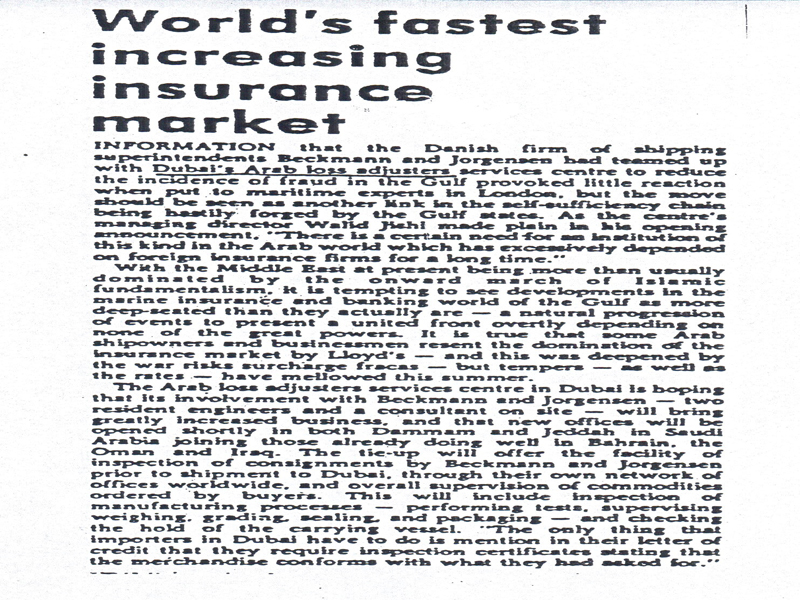 The Insurance Industry was at its infancy stage in 1981, Walid Jishi, our founder, group chairman and managing director established Arab Loss Adjusters to bridge the gap between local Insurers and International practices. The objective initiated due to a disconnect between the local business environment and claims best practices. Through sheer passion towards a healthy regional insurance industry, he has brought adjusting to the Arab world and encouraged talented individuals to seek a career in this noble profession. 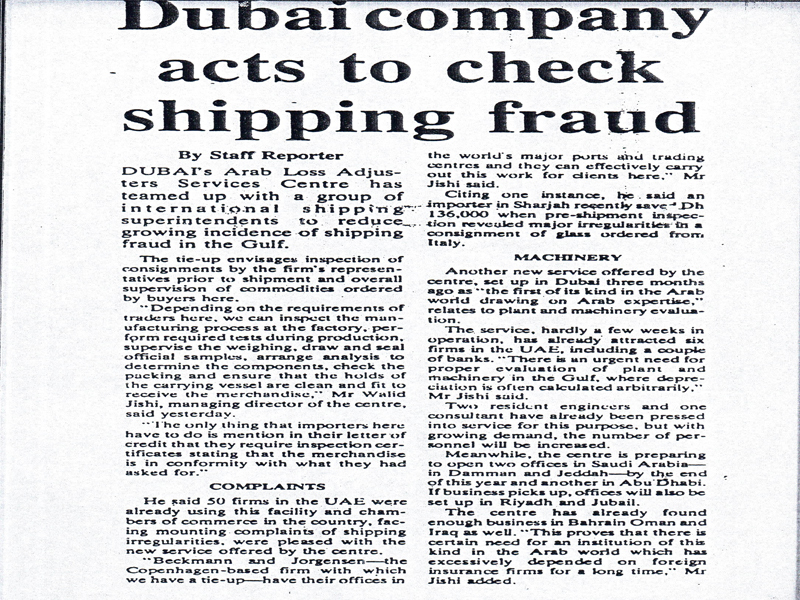 Three decades later, the firms family culture and eye for value to all stakeholders has allowed us to establish a direct footprint across the entire Middle East and new markets with a mindful approach and commitment in supporting talented native adjusters to grow in their respective territories. We actively seek out and promote talent, and interact with our principals at every opportunity. The ALA family comprises of more than 70 multidisciplinary adjusting professionals and we continue to develop our capabilities under the unified practical school of thought while observing the changing business environment and technological dynamics. We recognise what matters most to our stakeholders to achieve fair and equitable results across all our business lines. The firm approaches the industry with great social value to Insurers and the insuring public which drives our independent approach while strongly emphasising on innovative tools to respond promptly to the marketplace. Recongnising a demanding change in our industry we will respond with agility and team effort to establish ourselves as a leading technical claims services company in emerging markets.